AALL sponsors a yearly training session that includes chapter presidents and vice presidents, through the Council of Chapter Presidents. 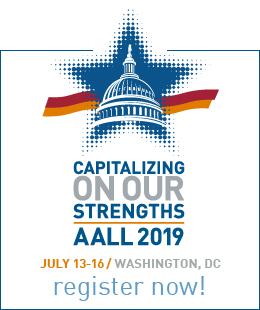 Chapters are an integral part of AALL and it is to the benefit of both the chapter and AALL for chapter presidents to know how AALL operates and how to find out information. In addition to chapter leaders, the training also includes SIS and committee leaders. The training is a facilitated program, with a focus on the role of leaders in a nonprofit professional association. Chapters are asked to send their incoming president and vice president/president-elect. The training is typically held on the Saturday prior to the Annual Meeting. Depending on the geographic location of the Annual Meeting and the time the training is scheduled to begin, this may mean that attendees will need to arrive at the Annual Meeting on Friday. In addition to this live training event, virtual trainings will be offered in the early fall on topics ranging from AALL budgets and financial operations to meeting planning and education program development. All of these trainings will also be audiotaped for archival purposes. A luncheon bringing together chapter, SIS, and committee leadership is typically scheduled the same day as the Leadership Training, which is traditionally held on the Saturday prior to the Annual Meeting. The focus of the function is to provide an environment for chapter, SIS, and committee leaders to informally meet and get to know one another during lunch. The Bylaws of the Council of Chapter Presidents require that the Council meet once a year at AALL's Annual Meeting. The Council of Chapter Presidents Annual Meeting is traditionally scheduled on the same day as the Leadership Training, which is typically the Saturday prior to the Annual Meeting. The Council chair will solicit Council members for agenda items and create the agenda for the meeting. Obviously, the nature and amount of business to be conducted varies with the particular membership of the Council for any given year. While both the incoming president and vice president of each chapter are encouraged to attend and participate, each chapter has only one vote. If neither of these two officers can attend, chapter presidents are encouraged to name an alternate delegate, preferably from the ranks of the chapter's current officers or committee chairs. Of course, the meeting is open to any interested chapter member who wishes to observe. All chapter presidents will receive a notification in the fall explaining how to schedule a chapter function at the next AALL Annual Meeting and giving the deadlines for reserving space. This notification will include options for room set-up and billing, dates and times available for functions, and an electronic scheduling form. Each Annual Meeting, AALL underwrites one free full registration for ten chapters. It is the intent that the award is presented to newer members of AALL who meet whatever other criteria the awarding chapter may determine. By providing an opportunity for a newer member to attend an annual meeting, everyone benefits—the member, the chapter, and AALL. 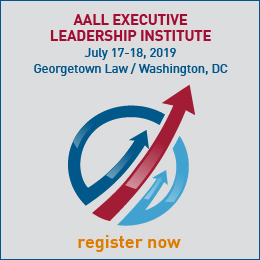 AALL's goal is to provide an enriching and valuable experience as the member learns and networks with colleagues from across the country. The result for the chapter and AALL is a member who supports and participates in her or his professional association, both locally and nationally. Recipients receive recognition in the AALL Awards Brochure. Chapters receiving awards are typically notified in February and have until April 1 to select a recipient. AALL provides a display board at the Annual Meeting for chapters, SISs, committees, and caucuses to display information about their group in a creative and informative way. This is a display area only; sales are not permitted. AALL headquarters contacts each chapter president in the spring regarding participation in the Activities Area. Chapters may reserve one side of a 4'x8' display board to showcase publications, reports of projects, posters, etc. Instructions will be sent once a display board has been reserved. Materials can be delivered in advance of the Annual Meeting and shipping instructions will be provided. Chapters are responsible for setting up, dismantling, and staffing their display during the Annual Meeting. Chapters are not charged for the display board. A limited amount of velcro and push pins will be provided.